Principal & Owner of Mosaic Resource Group. Dynamic trainer. Results-oriented facilitator. Versatile PM. Crystal Richards has over 15 years of experience as a project manager and a trainer. Crystal is a certified project management professional (PMP), a Fellow of the Healthcare Financial Management Association and certified in emotional intelligence (EQ). Crystal is passionate about bringing out the best in people, having served with multiple organizations as a trainer and mentor. 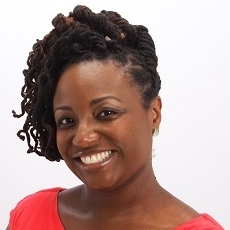 A graduate of Georgetown University and The University of North Carolina-Chapel Hill, Crystal is a dynamic trainer, results-oriented facilitator and versatile project manager. An Army brat, Crystal enjoys the simpler things in life: spending time with her best friend and wise counsel, her husband Steve; taking her 10-year old lab for a hike in Maryland's state parks; tending to her vegetable garden; Dunkin’ Donuts coffee and mastering her latest obsession: learning how to play golf. Like the show Survivor, players have to adapt to the game of social politics to make alliances and meet their goal of success. Social politics are just as prevalent in our working lives. People are the crux of projects and overall business operations. In a perfect world, everyone in the workplace is open and transparent, they have no hidden agendas and they are open to working collaboratively. But we know that’s not how the real world works. To truly be successful in our jobs, we need to know how to effectively deal with office politics, have a strong sense of self and develop good negotiation skills in order to forge effective working relationships with our peers and our teams.